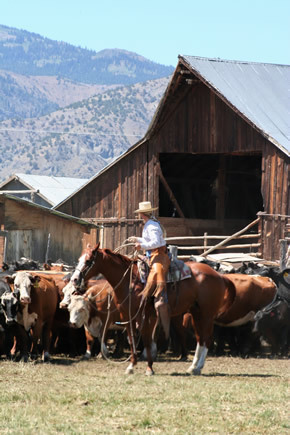 George has resided in the U.S. since 1980, working as a cowboy on big outfits in Arizona, Nevada, Idaho and California until 1997. 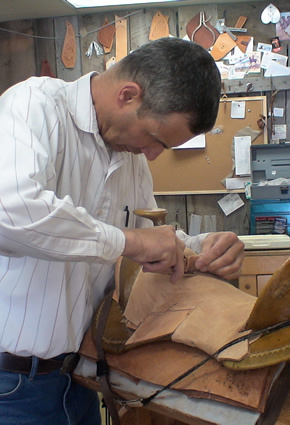 During that period, he had the chance to meet some great saddlemakers who freely shared their knowledge. 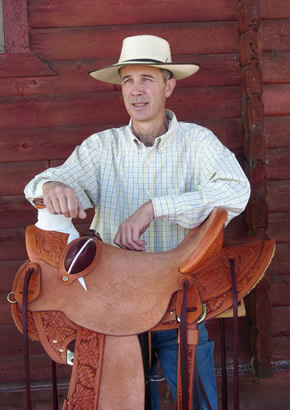 Among them were Scott Brown and Eddie Brooks, Capriola's saddlemakers during the 1980s. 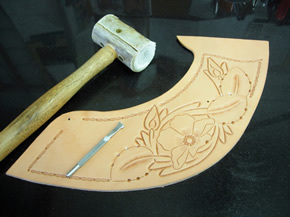 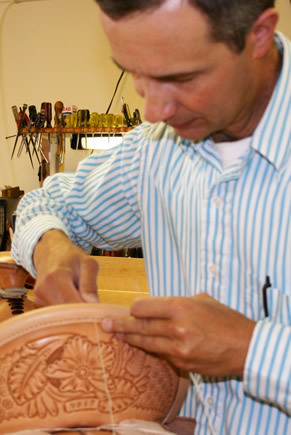 He also credits Dale Harwood and Jeremiah Watt as having a great influence on his development as a saddlemaker. 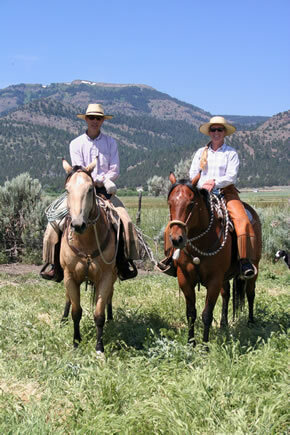 George has made a living building saddles since 1997 and currently resides in Modoc County, Calif. with his wife Michelle. 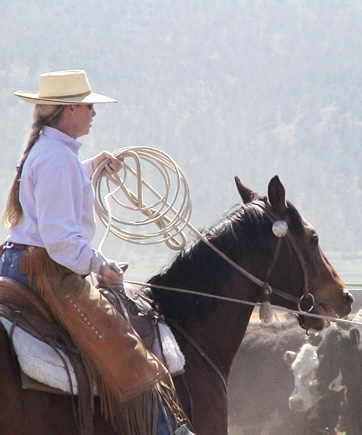 I would like to thank all of the cowboys and ranchers who helped me, and hired me, too many to mention, it's to them this site is dedicated.